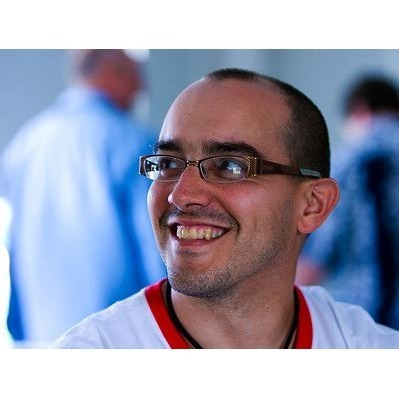 Dave McClure likes to hang out with entrepreneurs, and occasionally help or invest in their startups if they let him. Dave has been geeking out in Silicon Valley for over twenty years, and has worked with companies such as PayPal, Mint, Founders Fund, Facebook, LinkedIn, SlideShare, Twilio, Simply Hired, O'Reilly Media, Intel, & Microsoft. Many years ago he used to do real work like coding or marketing or running conferences, but these days he mostly does useless stuff like sending lots of email, blogging, and hanging out on Facebook and Twitter. Dave also likes to play ultimate frisbee when his knees don't hurt. Dave was mentioned in a VatorNews article "Meet Elizabeth Galbut, Founding Partner at SoGal Ventures"
Dave was mentioned in a VatorNews article "500 Startups looks to conquer the globe with 6 new partners"
Dave was mentioned in a VatorNews article "Daily funding roundup - September 4, 2015"
Dave was mentioned in a VatorNews article "Meet ShareRoot, a platform to connect users with brands"
Dave was mentioned in a VatorNews article "How successful are the top accelerators?" Dave was mentioned in a VatorNews article "Changes at the seed- to early-stages of venture capital"
Dave was mentioned in a VatorNews article "List of top Bay Area accelerators and incubators"
Dave was mentioned in a VatorNews article "What women want: Do we need more female VCs?" Dave was mentioned in a VatorNews article "Crowdfunding debate - Dave McClure vs Michael Stocker"